On February 12th, 2014, the birthday of Rossanna. She and Andrea, my two daughters, separately with their friends, left to a protest. That day is not just Ross's birthday, it's the "Youth Day." In my country this is the day in which the Battle of Victory is celebrated. In 1814 a group of young university students, bachelors and schoolchildren, went out to accompany the Patriots José Felix Rivas and Vicente Campo Elías in a battle against nothing more and nothing less than José Tomás Boves, known as the "Urugallo," who commanded the realists troop—the side of the Spaniards in the war of Independence. Thus, on February 12, 2014, in a similar way, but worse, it resembled February 12, 1814, because that day the first young man who died in the protest was Basill Dacosta, as young as those who fought in the Battle of victory; and with him others died in a battle for nothing Just. I have to say that the forces of "public order," Venezuelans like our young people who were in protest , acted worse with their own compatriots than Boves who was Spanish. In the Battle of Victory, the young people who fought beside the Patriots beat the Urugallo. In this of the 2014 on the other hand the authority won, but at a very high cost. I had attended most of the protest in the street for several years. Next to my friend Yadri in many of them, with my coworkers Corina and Maria and sometimes we joined our ex-coworker Yaditza. When my daughters grew up they also accompanied me and my friends in the clamor of the protests like most of the Venezuelan young people, who learned to participate the weekends in protests, very different from me when I had that age. My participation at that age was limited to going out with my family, visiting friends or uncles, beach days with my friends, going to the movies with the girls or stayed ay home to study for an exam. But the Venezuelan youth of the Hugo Chavez generation in the presidency, learned how to use some of their time to protest against a regime that is the only system of government that most know because many were born and have grown up with it. As I said, I always went to these meetings, protest, but that February 12, 2014 we had to work, and there was no permission to attend. Yadri and I were in school, waiting for the news and the radio that didn't say anything about it. What mortification when I found out that protest it had become violent, how I wasn't going to be worry if my two daughters, separately, were there? 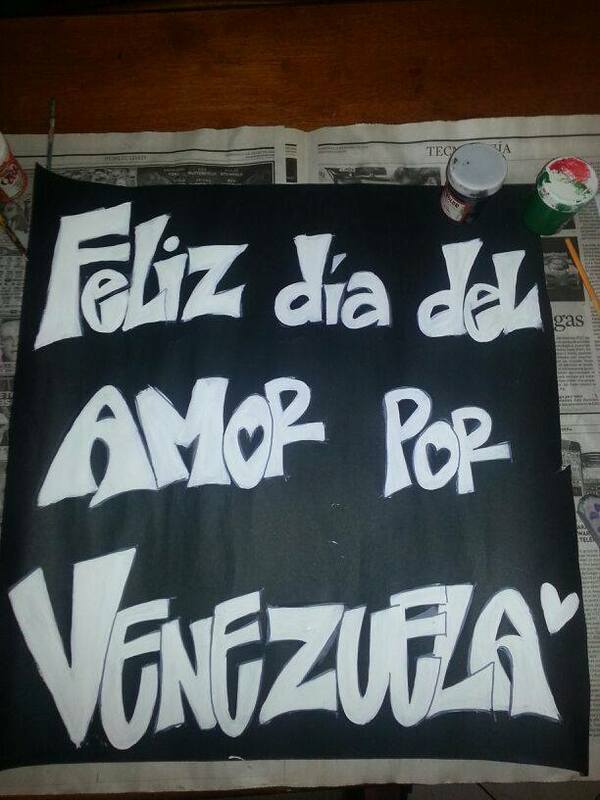 Rossanna had designed a banner that said something like "Happy Day of Love for Venezuela," so that February 12th is the day of youth and the 14th is the day of love and friendship. I went out, took my car and went to pick them up one by one. Somebody stole Ross's cell phone and that worried her because was difficult to communicate from there; then she decided to taken refuge away from the central core with her friends, but before the cellphone was stolen she took a picture when she had been all over the front of a picket of the National Guard. As after losing the cellular she felt a little scary, she turned away with her friends and that made it easier for her to walk to the area where I was and I picked her up without a problem. Andrea had gone to one of her friends home, I thought was for fear and I said to myself, "She did when the situation was very bad and dangerous." But when I picked her up, I discovered that she had been very close to Bassil, that boy who was murdered. The first was a friend of one of Andrea friends and they saw him fall dead on the street, which is why they all went to a friend's house to pass the impression and the pain. At that moment my heart shrank, in sheer fright! It was the first time I cried for the death of a young man in the protests, but I never I would imagine I would weep much more in 2017, and in the distance, by the young squires of my country. To know more about the Venezuelan young squires in 2017 please check this link. You need to know they used t-shirts in their faces because the tears gases affected them very hard. Most of the shields are cardboard. We will talk later about what happen in 2017. My friends in one of the multiple protests we went together. Rossanna, my daughter, in front of the National Guards. The banner Rossanna designed for that controversial protest in 2014. Life, the Universe, My Mother, and Everything—"Sugar in the Fridge"